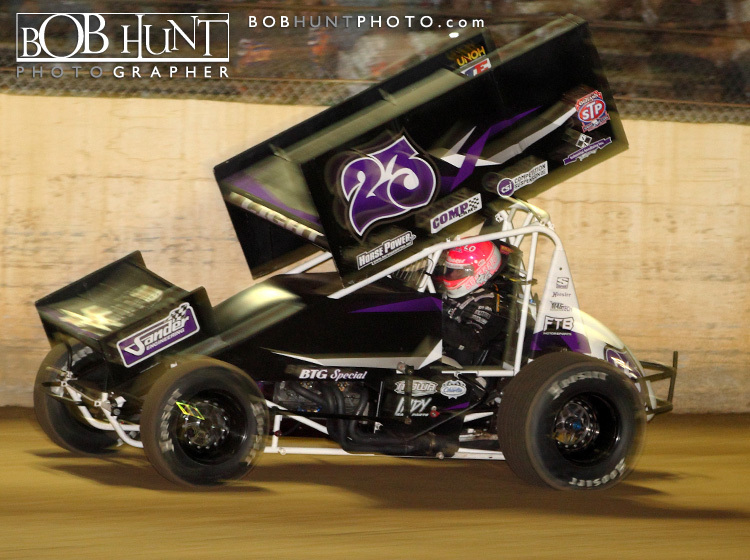 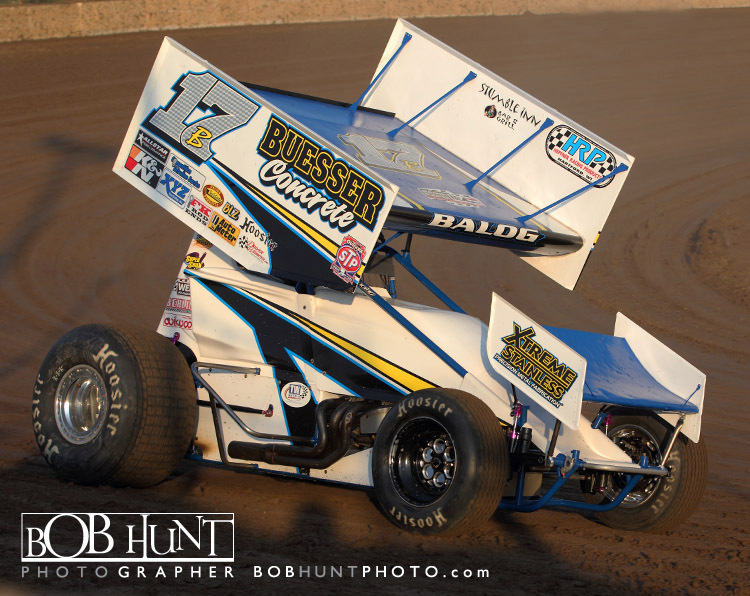 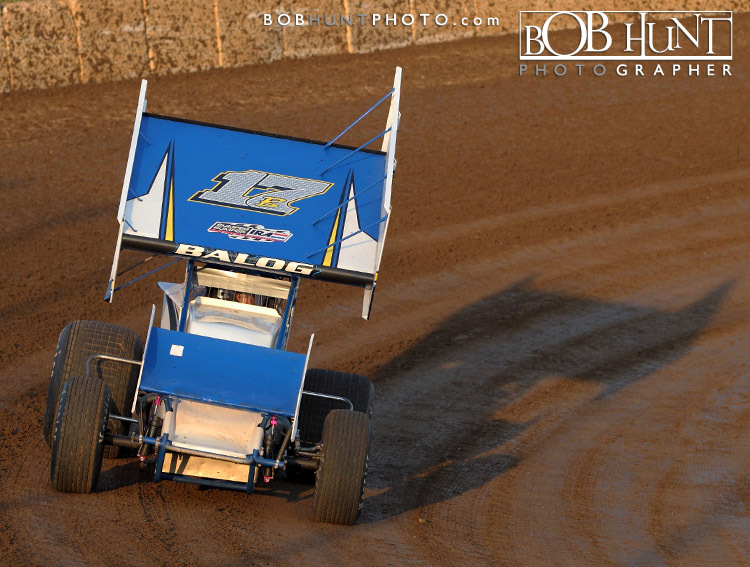 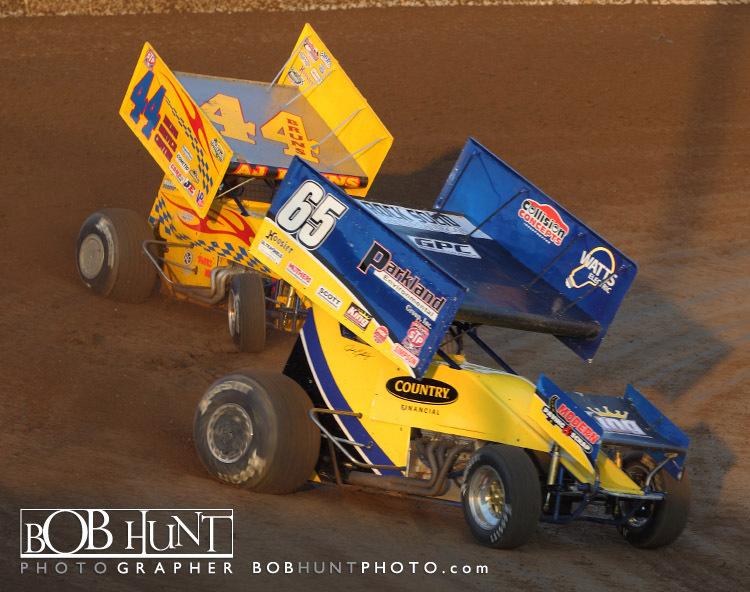 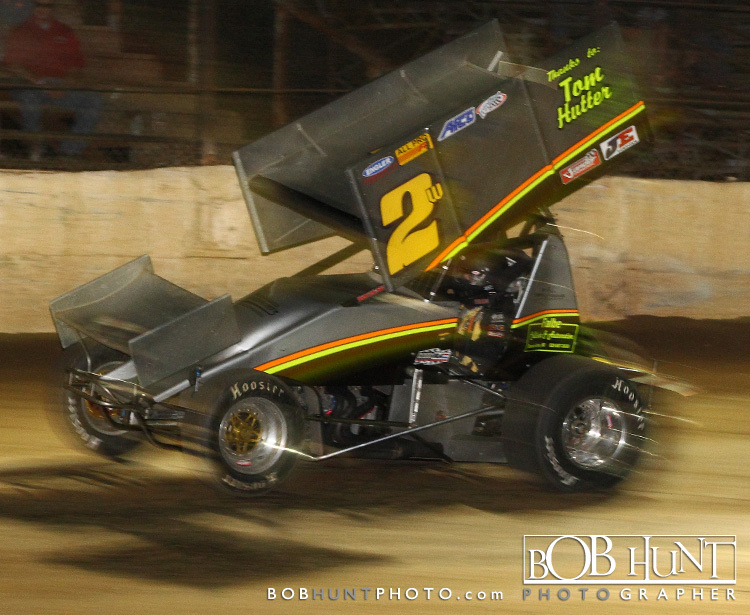 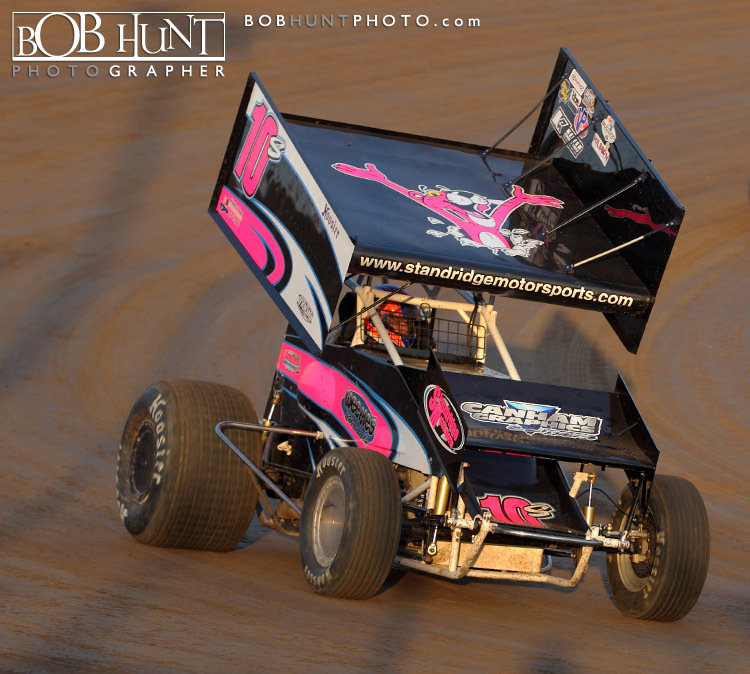 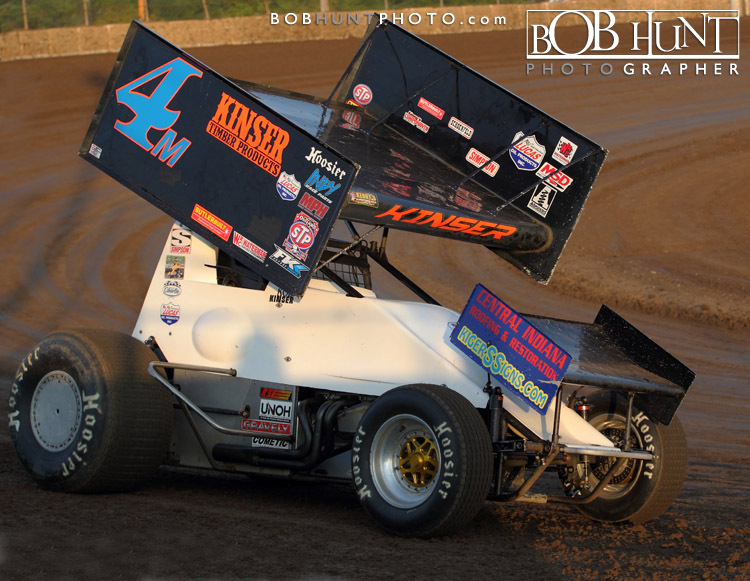 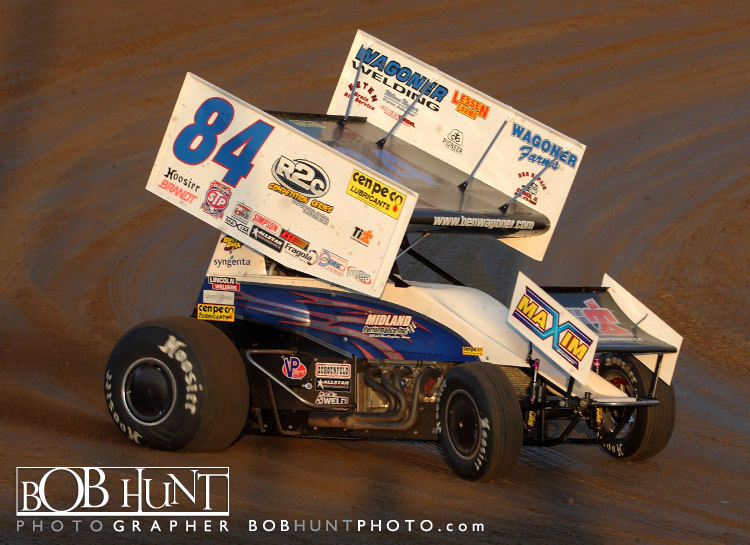 Bill Balog claimed his third straight Bill Waite Jr. Memorial race in the 30 lap main event was part of a sweep in which he captured his heat race and established a new series track record (10.475 seconds) in qualifying. 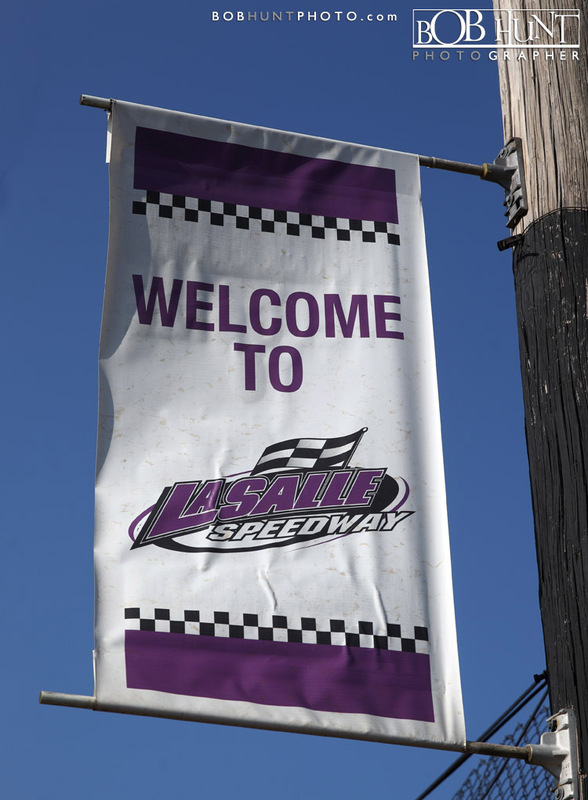 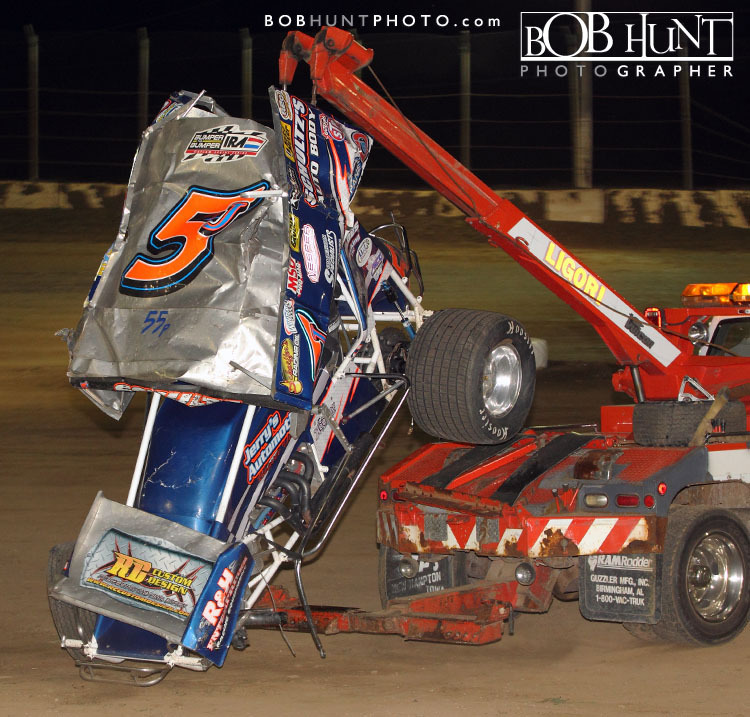 All of this was accomplished against a stellar field which showcased the best talent from both the Bumper to Bumper IRA Sprints and the Midwest Open Wheel Association (MOWA). 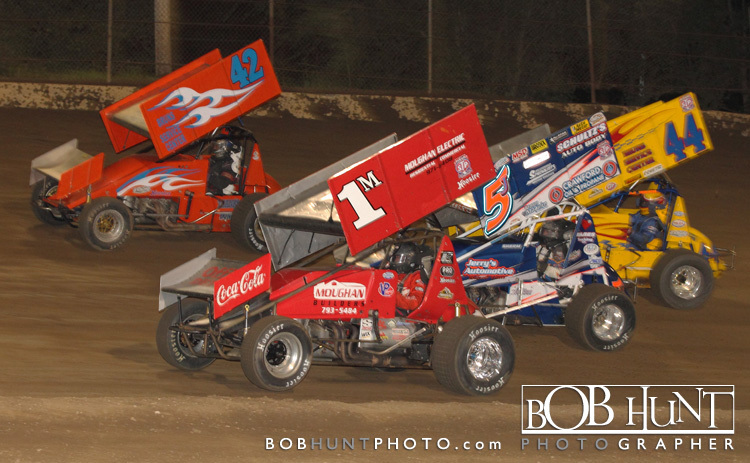 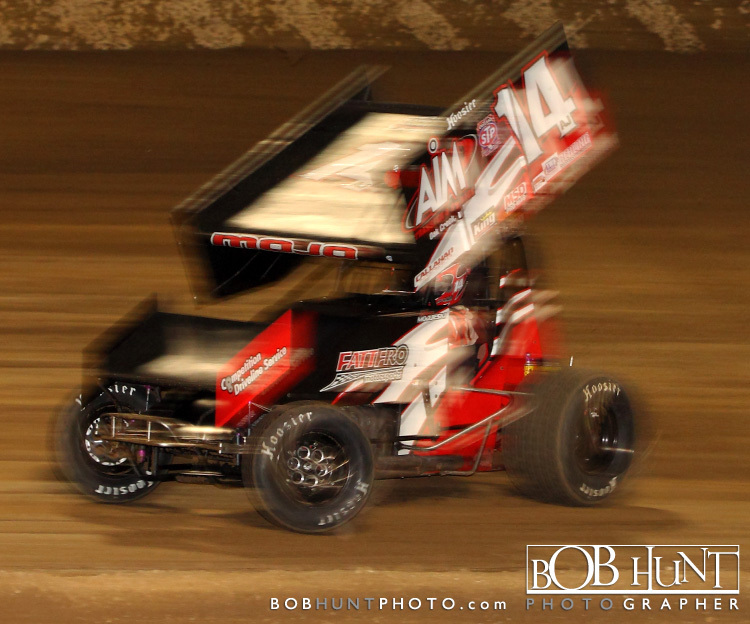 A showing of 42 drivers made for one impressive sprint car event which played out before a near capacity crowd. 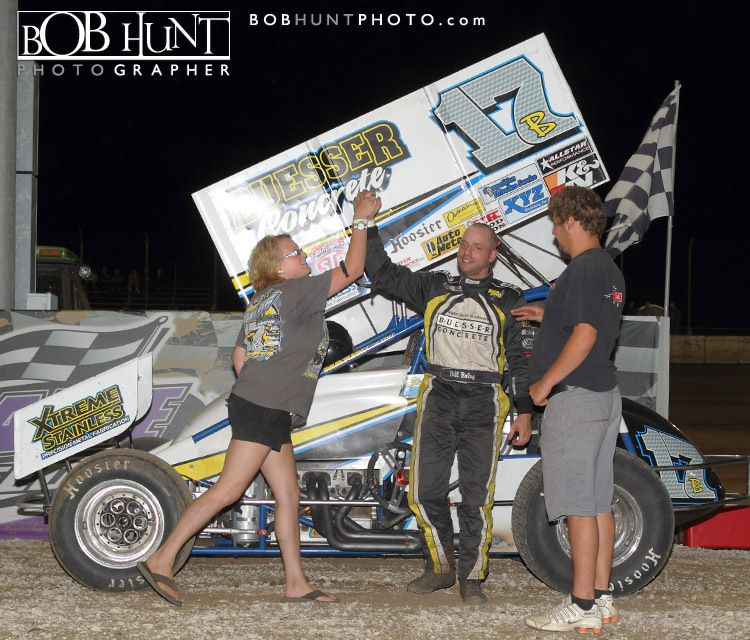 To reach victory tonight Balog had to fight past a determined Scott Neitzel. 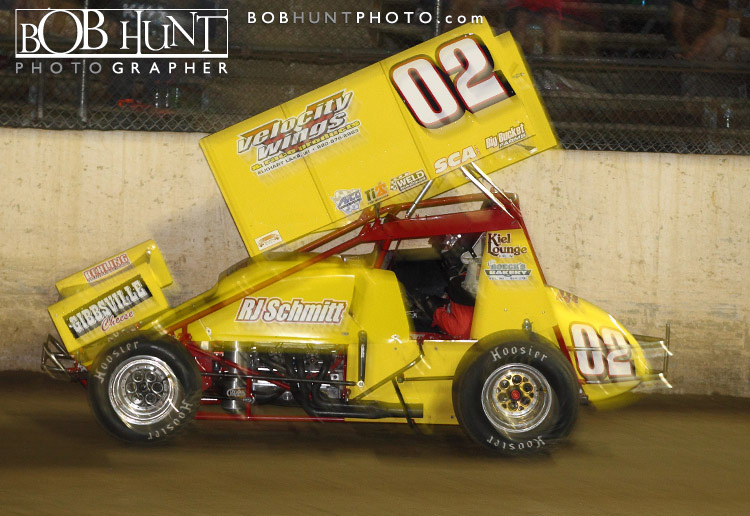 On lap 20 of the 30 lap contest Balog managed to work by Neitzel in lapped traffic and then held onto the top spot earning his 13th win of the season. 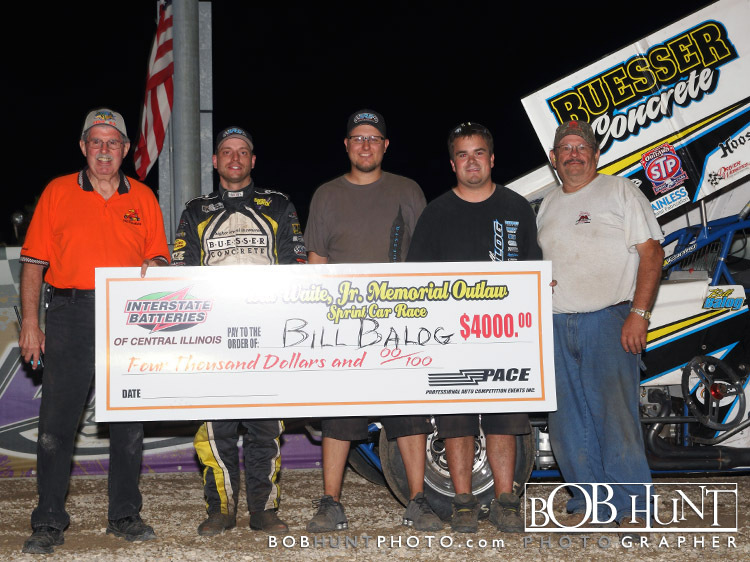 The victory, Balog’s 58th in IRA competition, pushed him just a bit closer to Joe Roe’s all-time win mark of 61. 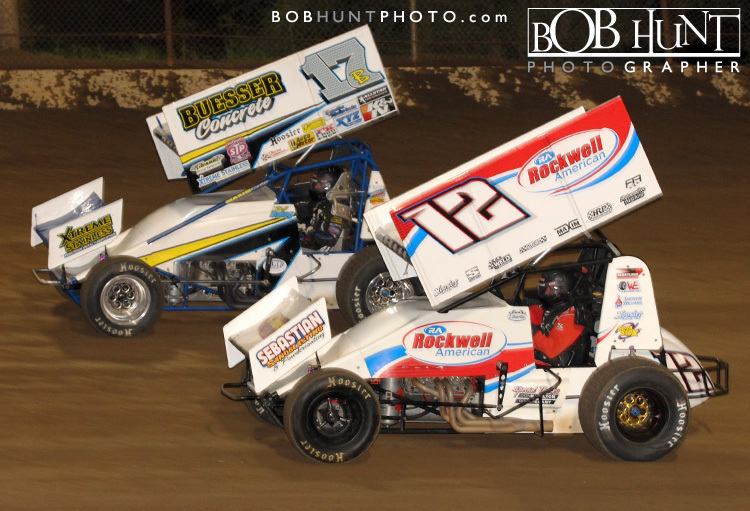 Mike Reinke managed to fend off two-time MOWA champion Jerrod Hull for the final podium spot as the pair waged a race long war for the third position. 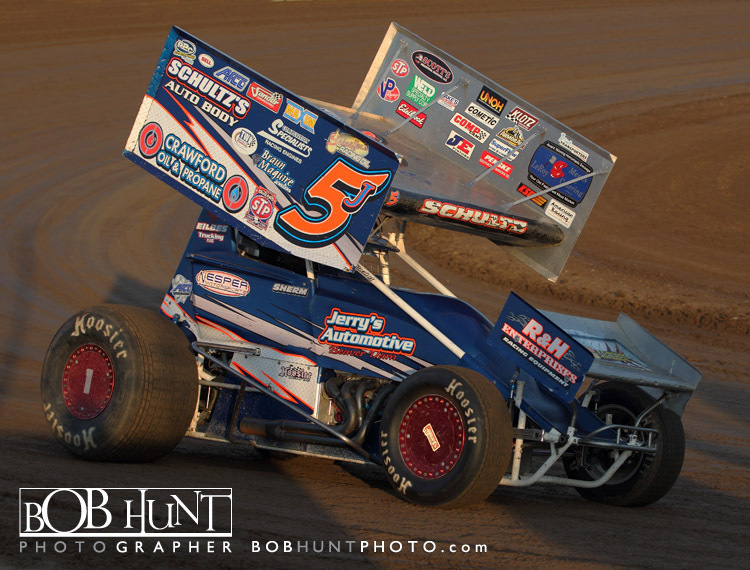 In doing so Reinke sealed an IRA sweep of the top three spots.